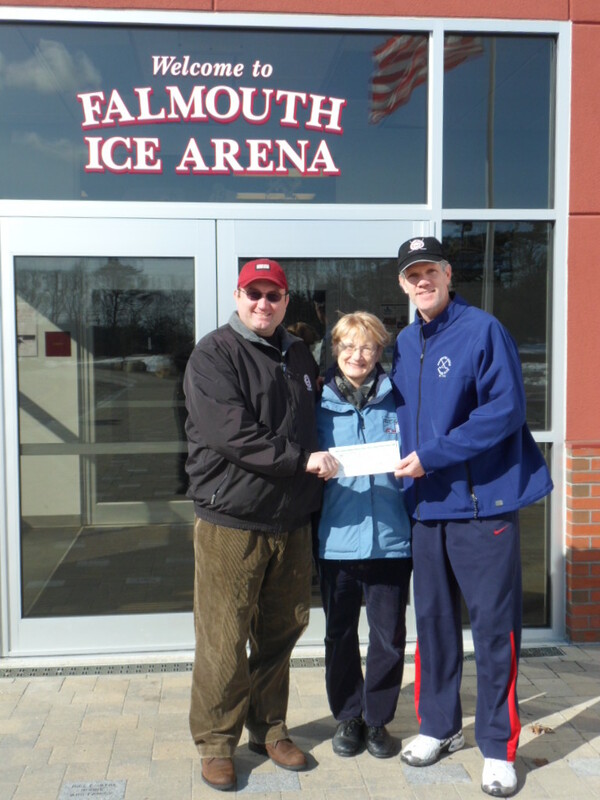 Falmouth Youth Hockey League, Inc.is pleased to announce its receipt of an energy rebate in the amount of $243,410 from Vicki Marchant of the Cape Light Compact. 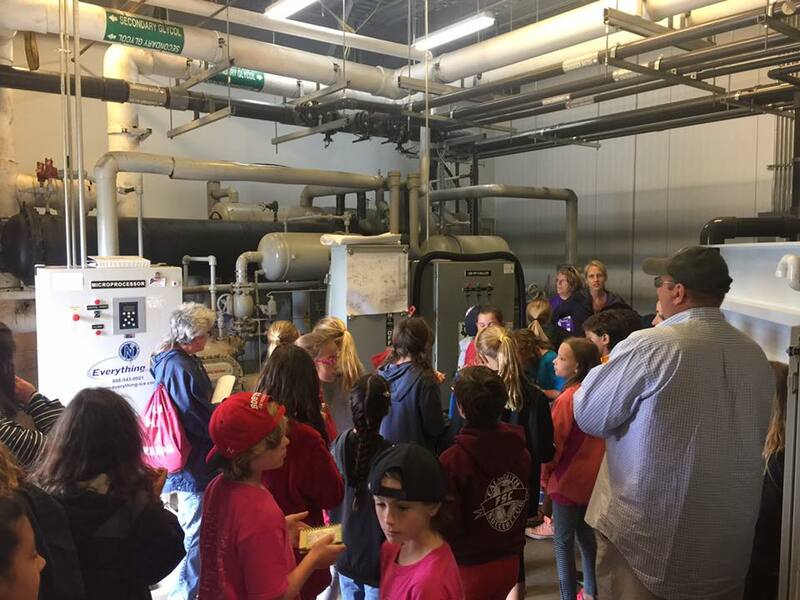 In 2012, Falmouth Youth Hockey completed its new 1 ½ sheet ice arena facility off Technology Park Drive in Falmouth and in doing so made energy efficiency and renewable energy a priority from the very beginning of facility planning. Solar panels on the roof of the building and within the parking lot are the most noticeable measures when one visits the Falmouth Ice Arena site. However, other significant unseen energy efficiency measures have been implemented in the building design and construction that result in about $80,000 savings in annual operating expenses, as well as the $243,4100 rebate from Cape Light Compact. 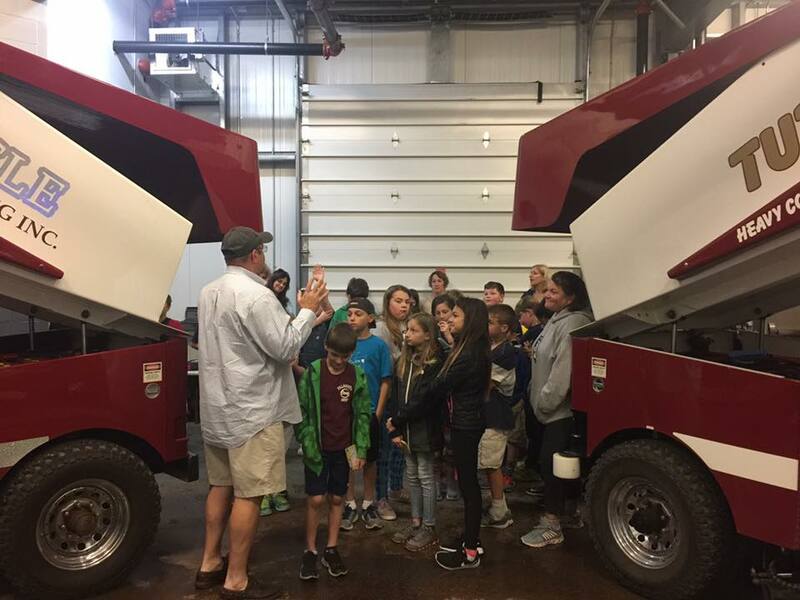 Sia Karplus, energy consultant for Falmouth Youth Hockey and a Falmouth resident, identified the opportunity to implement energy efficiency and renewable energy at this facility and coordinated the multiple activities involved through the Falmouth Youth Hockey building committee. 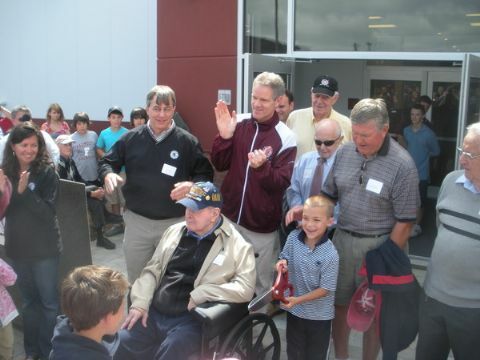 Achieving the energy goals at the Falmouth Ice Arena began with an airtight, well-insulated building envelope that incorporates best off-the-shelf components for HVAC, such as an energy-recovery ventilation system and waste heat recovery, on-demand water heaters, high efficiency lighting with motion sensors, and clear protocols for building energy management. Another key component to energy efficiency at the Ice Arena is correct sizing of heating and ventilation systems. HVAC systems design with energy efficiency in mind has made a substantial difference in achieving the lowest possible energy use in the building resulting in minimal heat load on the ice surfaces. As a result, the ice surfaces, which are the largest single energy user in the facility, can perform with minimal electricity use. 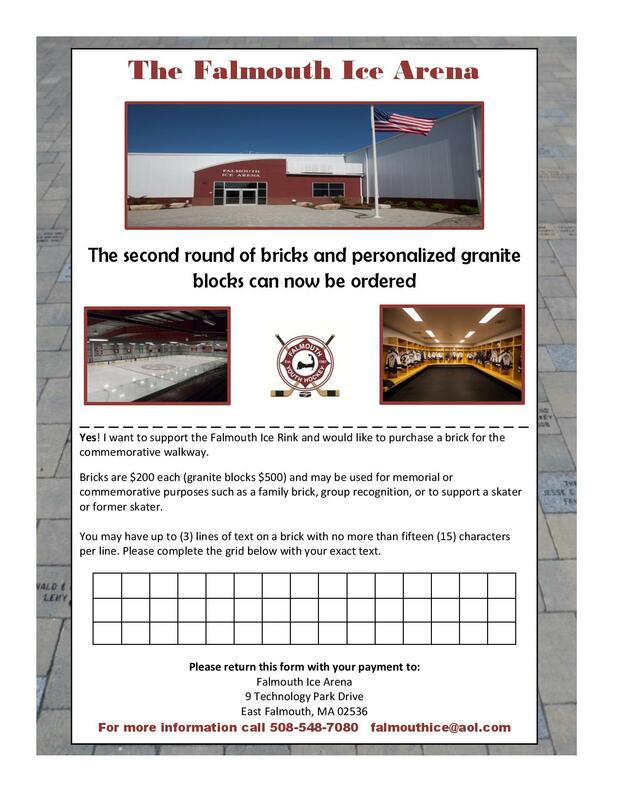 The other main design component at the Falmouth Ice Arena that has led to significant energy savings is a unique approach to design and implementation of the refrigeration system. The vanguard GreenMachine-717 refrigeration system is specifically designed to maximize energy efficiency by providing a low KW/ton ratio under all ranges of capacity control, while at the same time meeting the refrigeration load requirements of the ice arena. 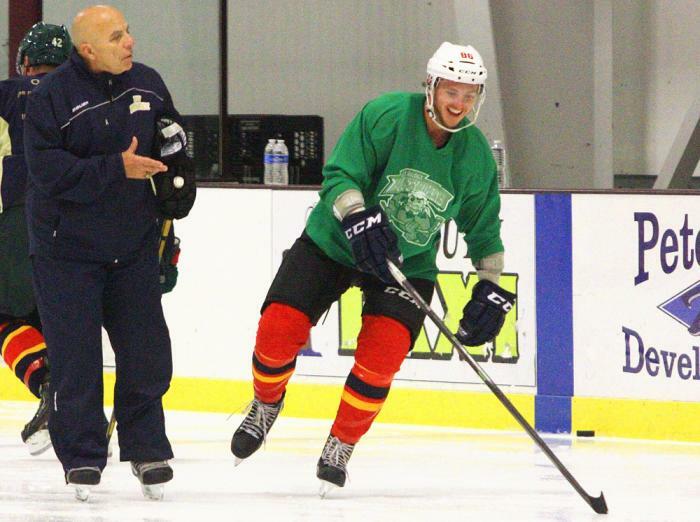 Ice rinks typically operate at 25% to 45% of total system capacity. 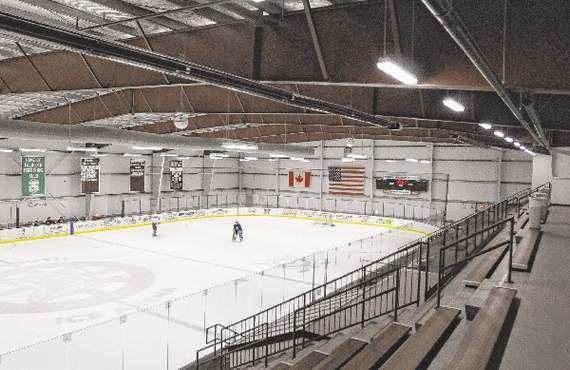 Falmouth Ice Arena’s GreenMachine-717 saves over 300,000 kWh compared to a standard system. The new Falmouth Ice Arena is a high efficiency user of natural gas, and saves almost half a million kilowatt-hours per year in electricity alone. 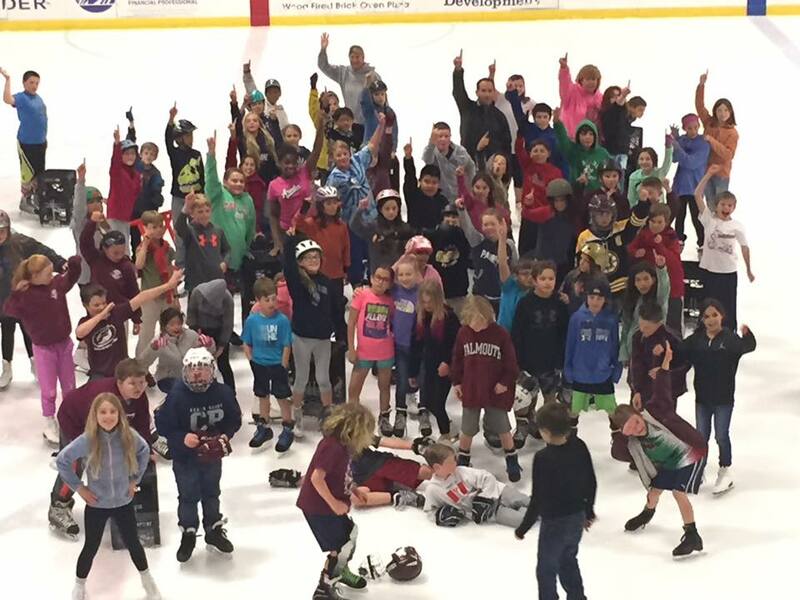 The energy design components implemented at the Falmouth Ice Arena have resulted in one of the most energy efficient ice arenas in the nation.